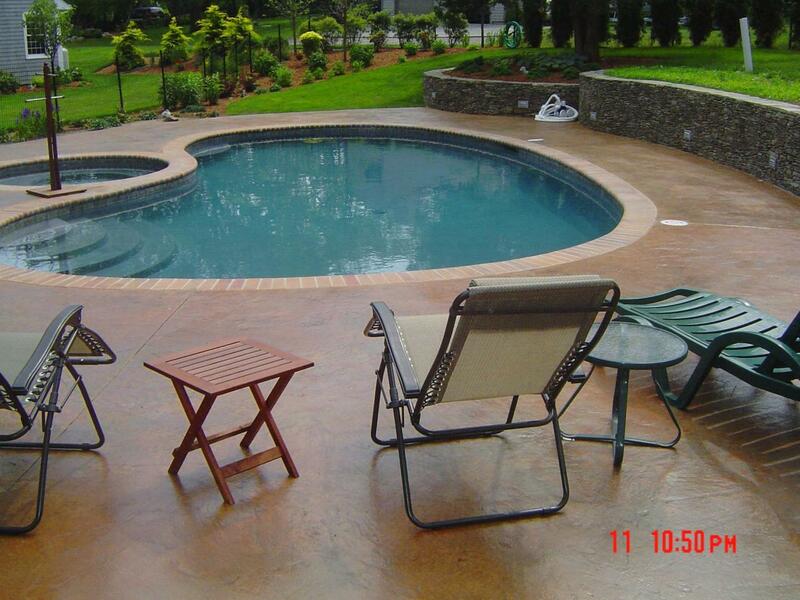 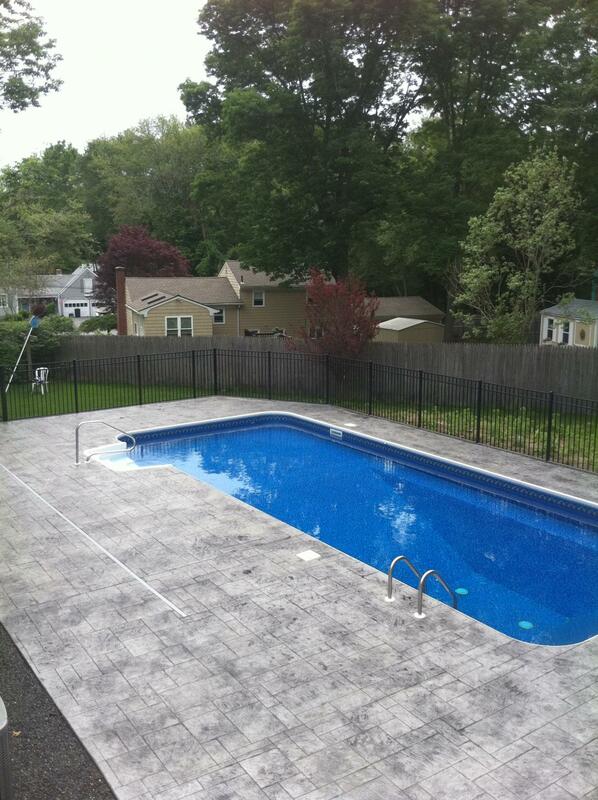 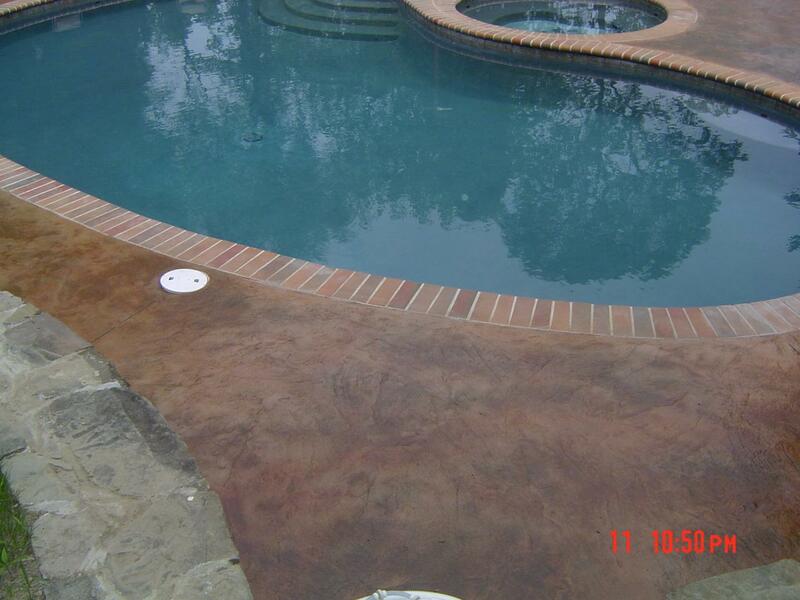 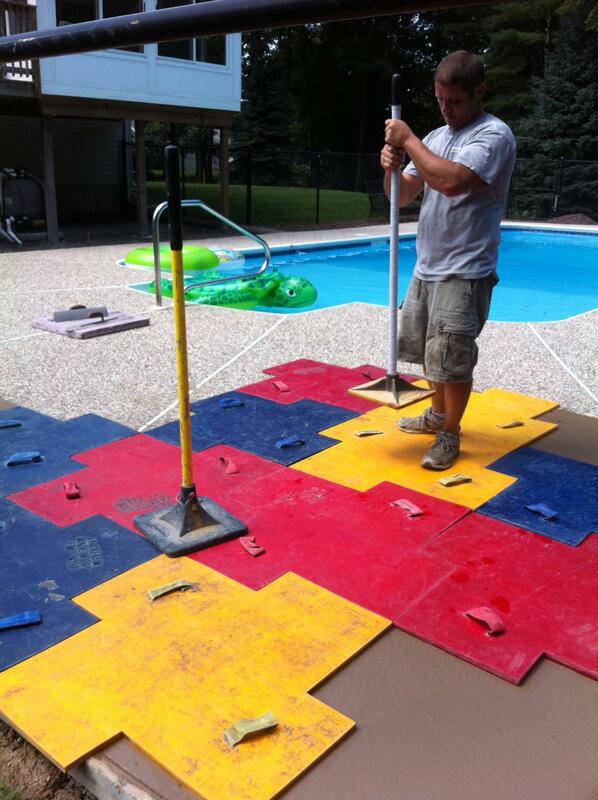 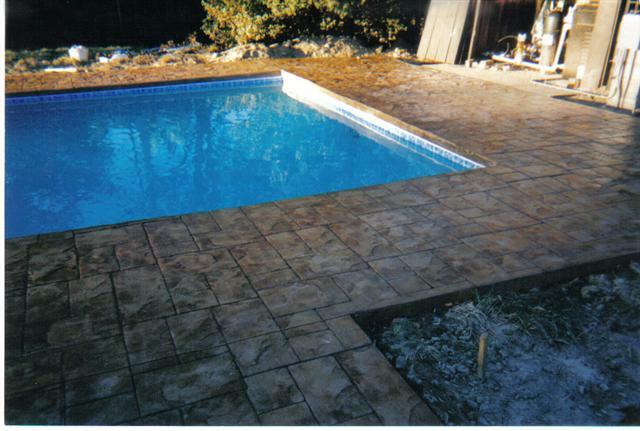 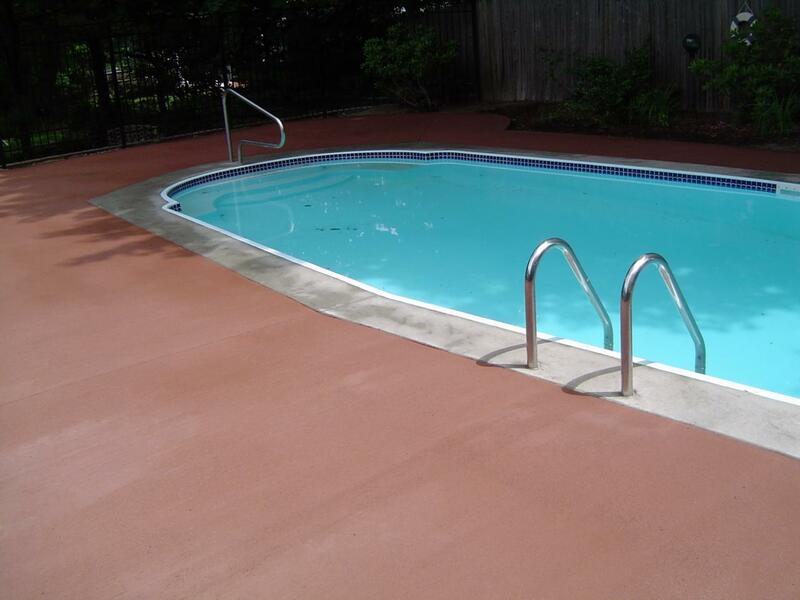 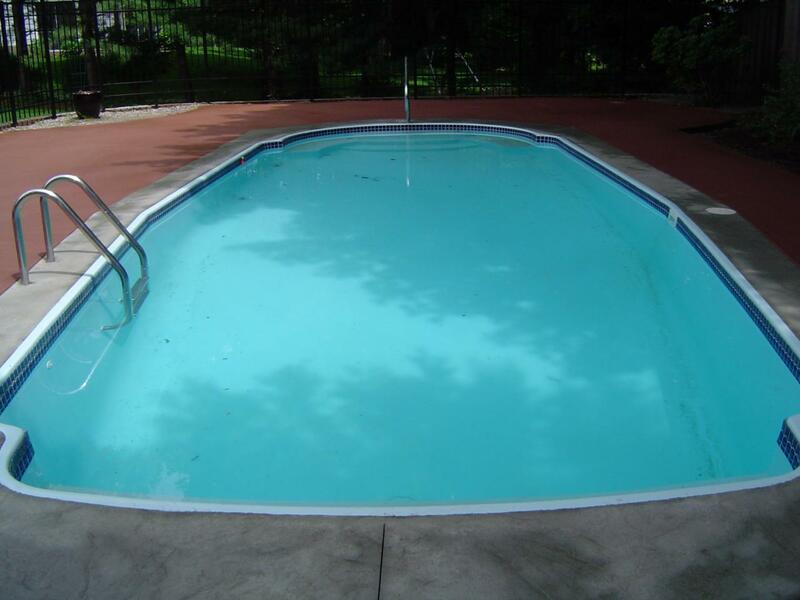 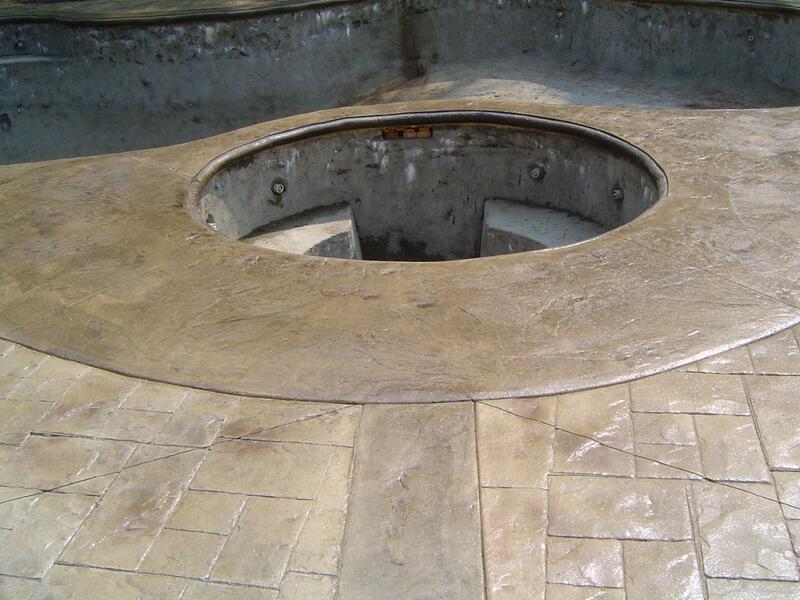 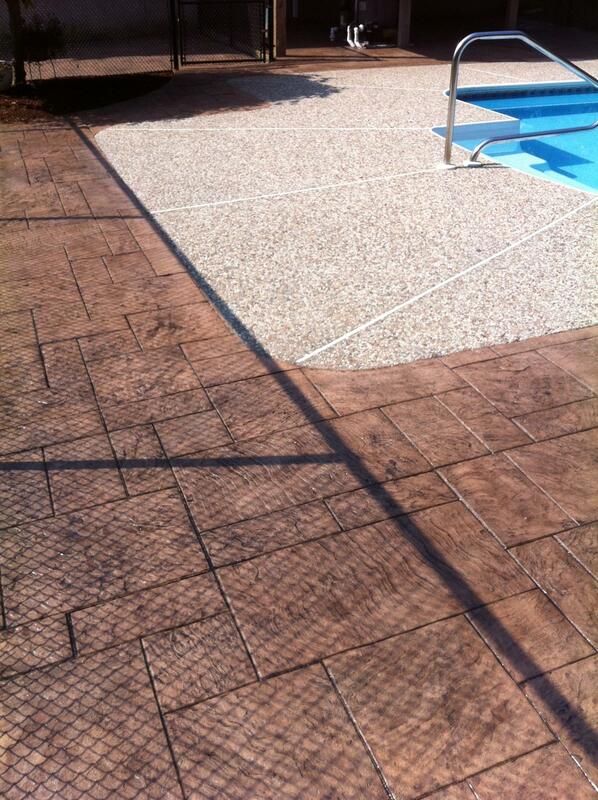 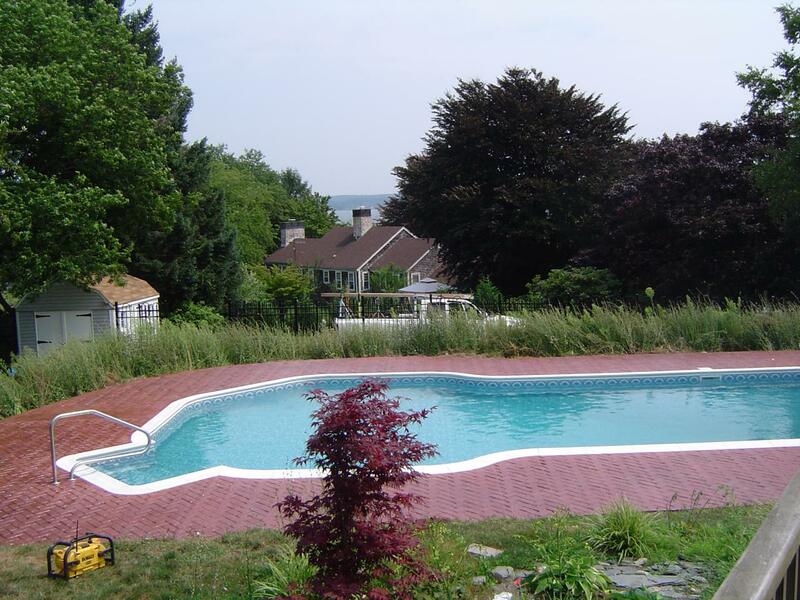 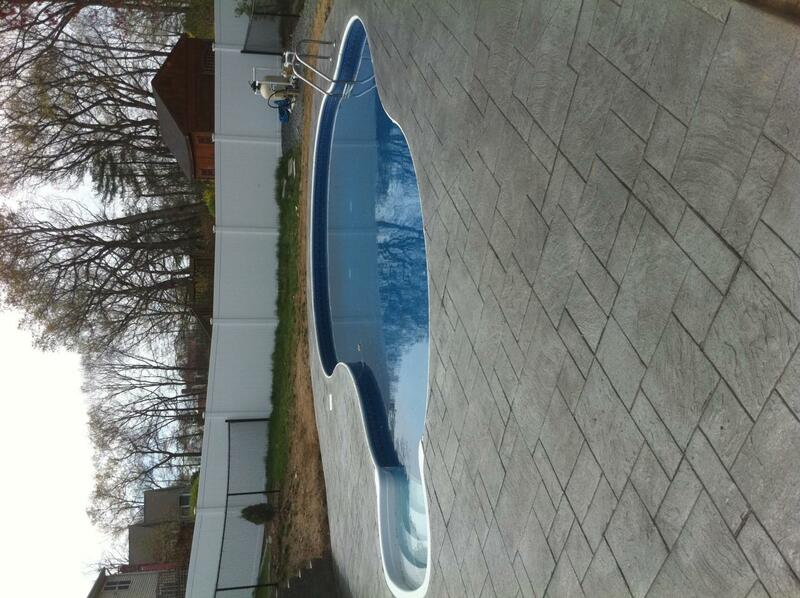 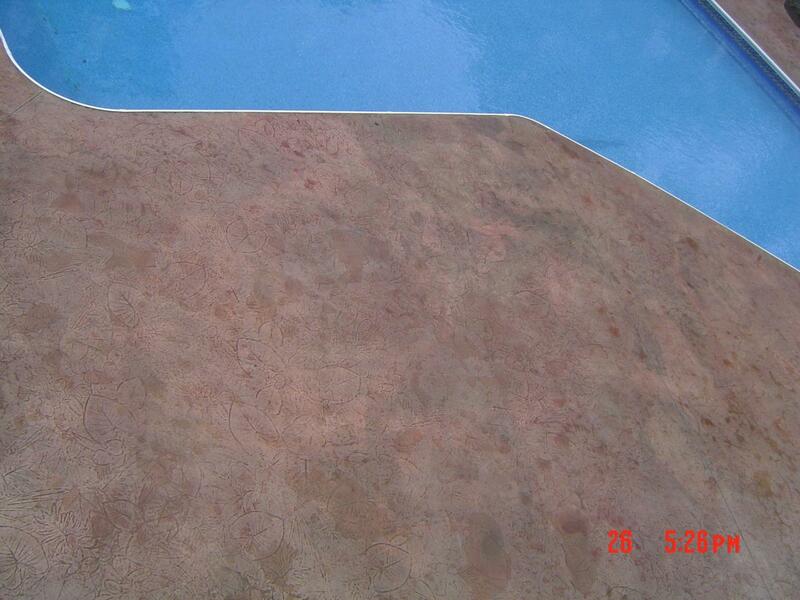 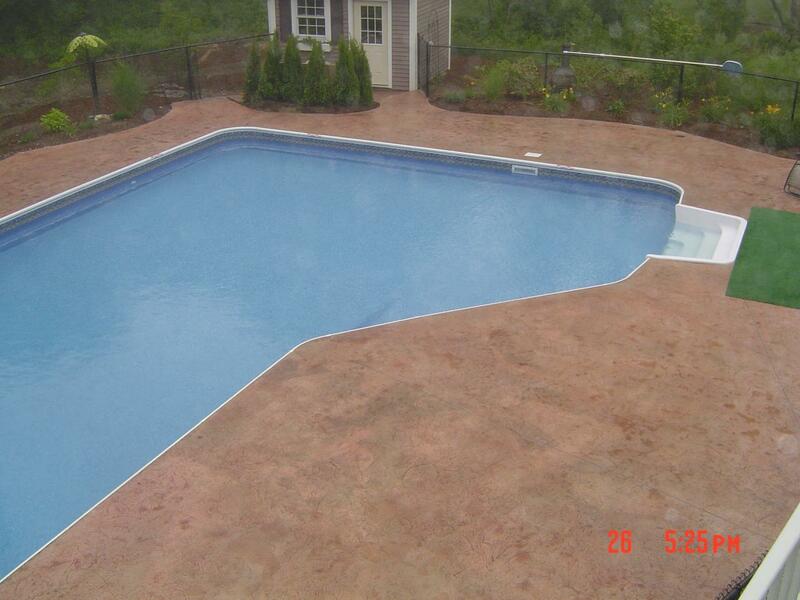 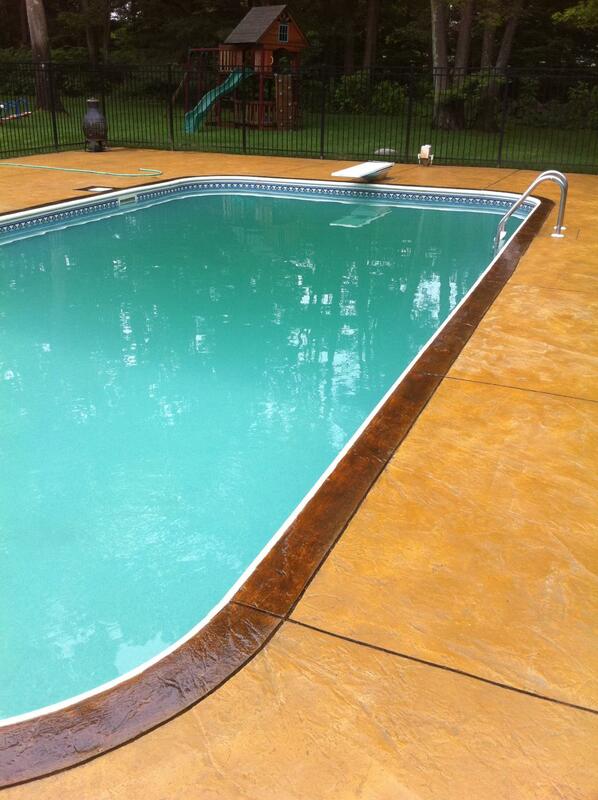 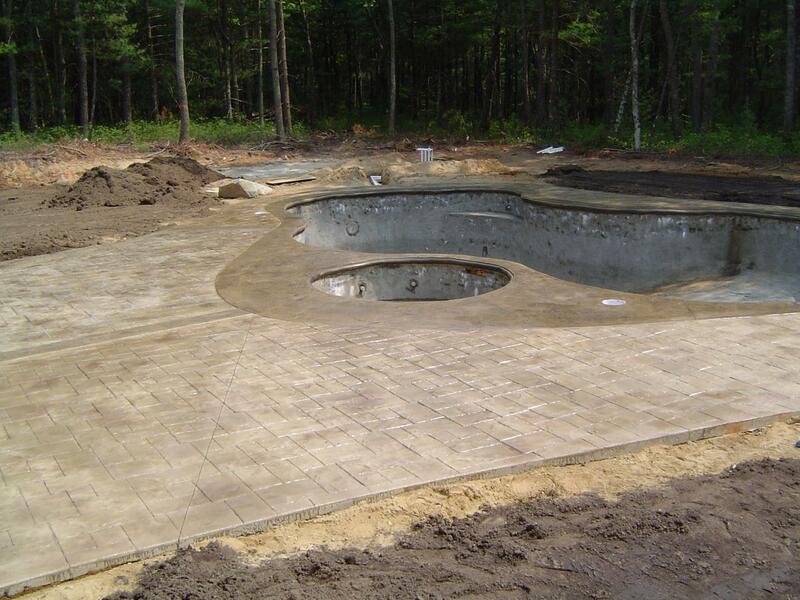 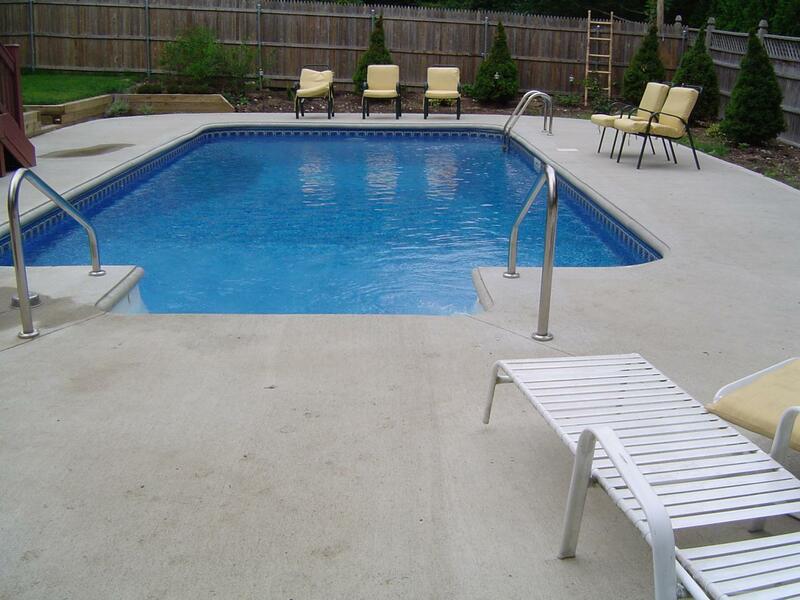 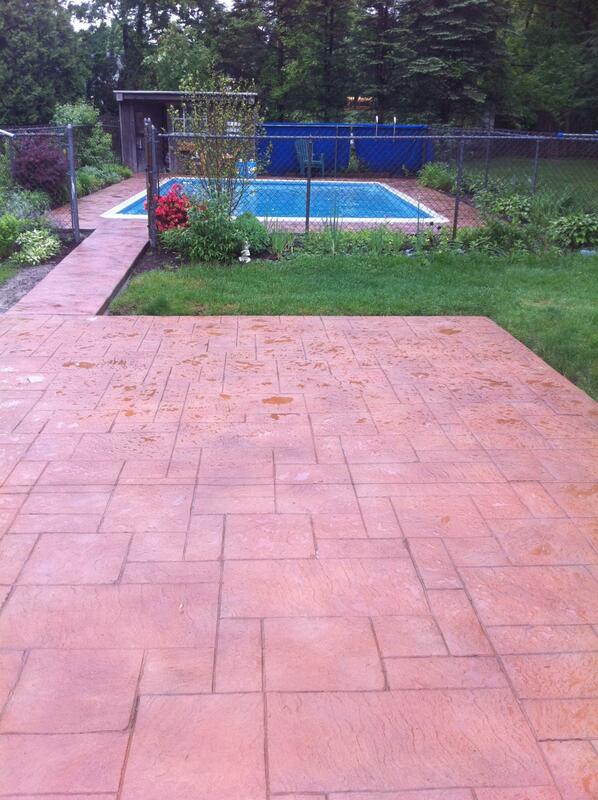 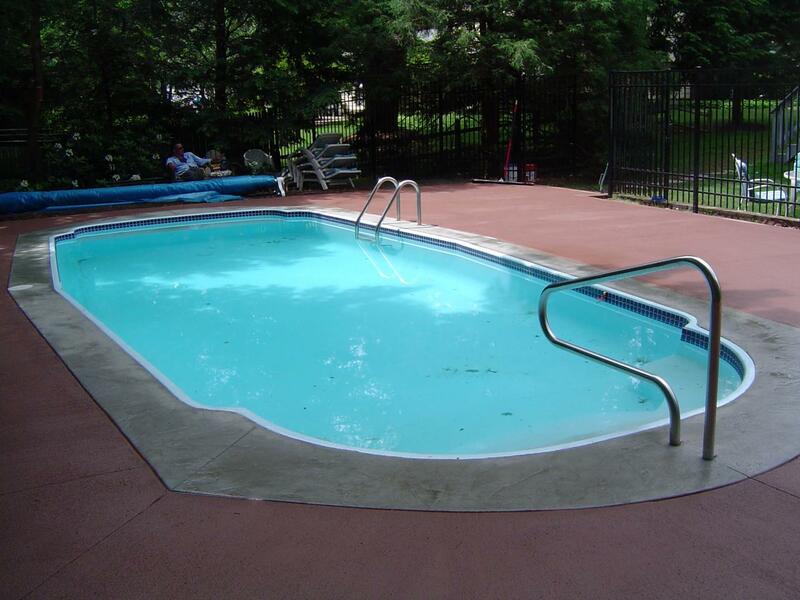 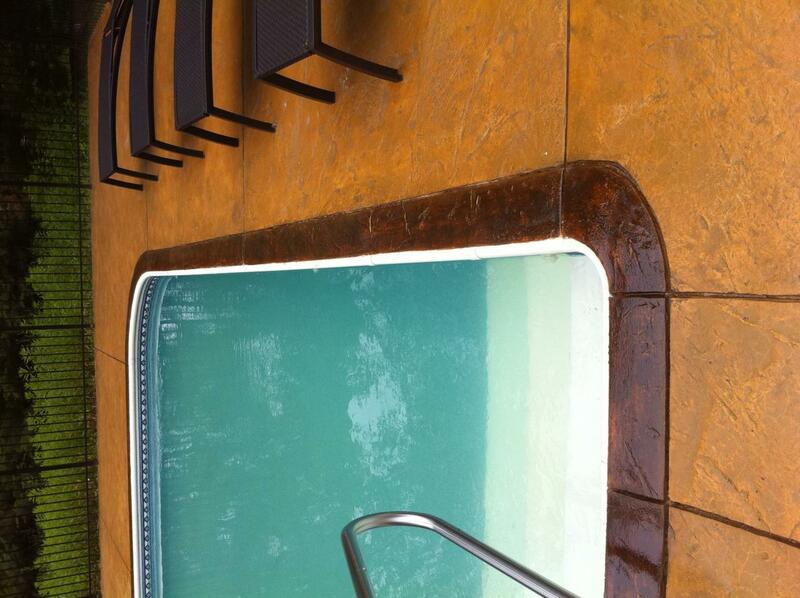 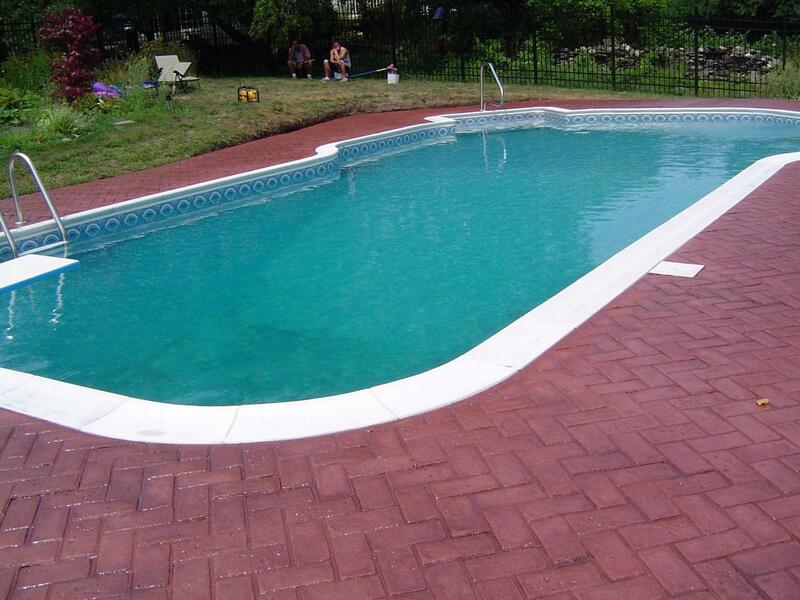 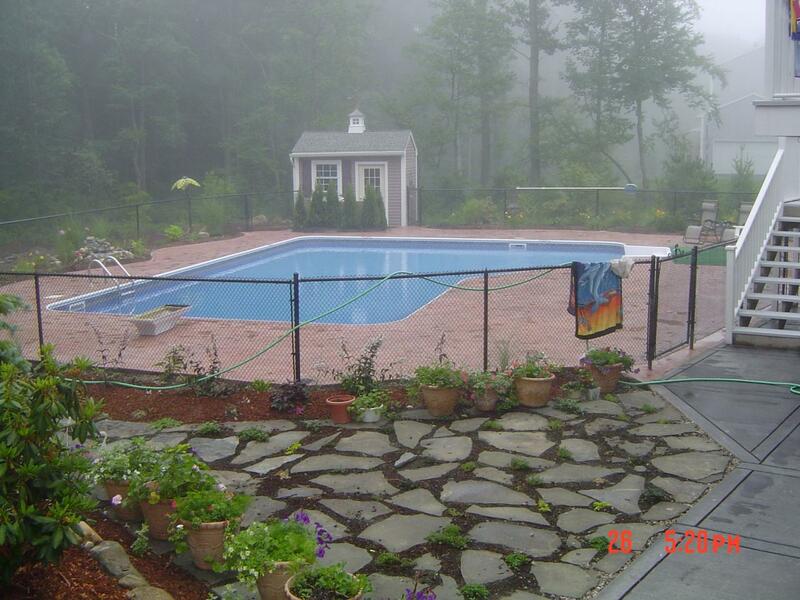 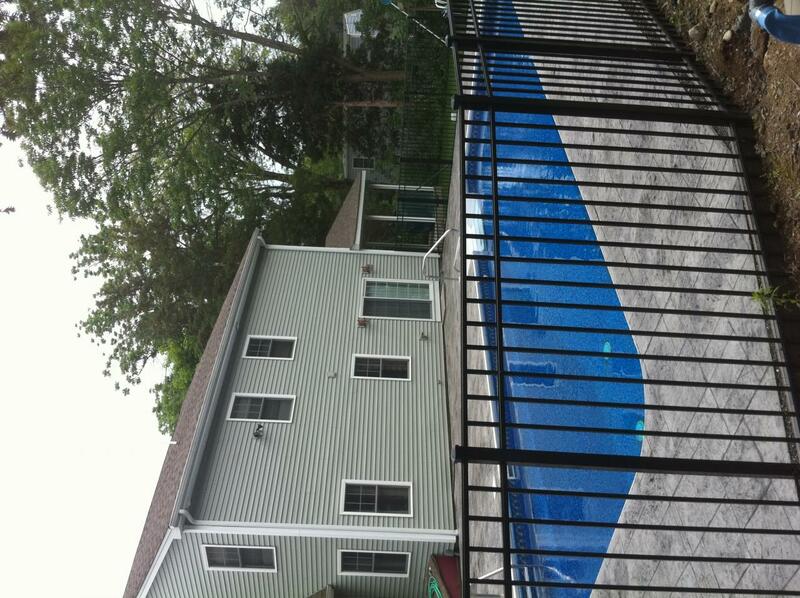 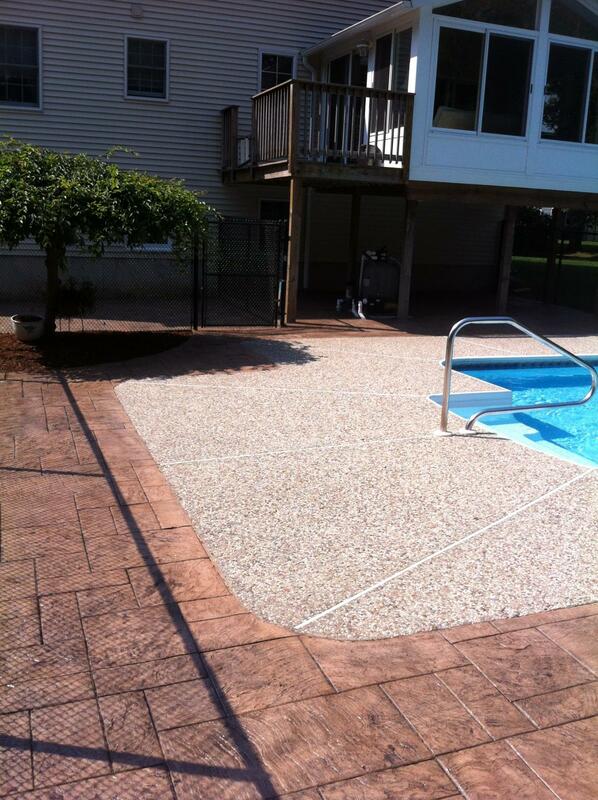 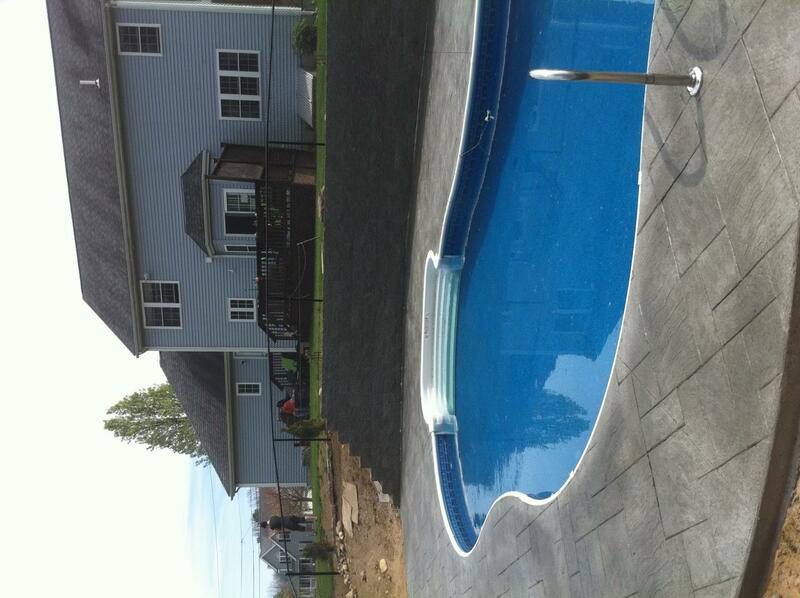 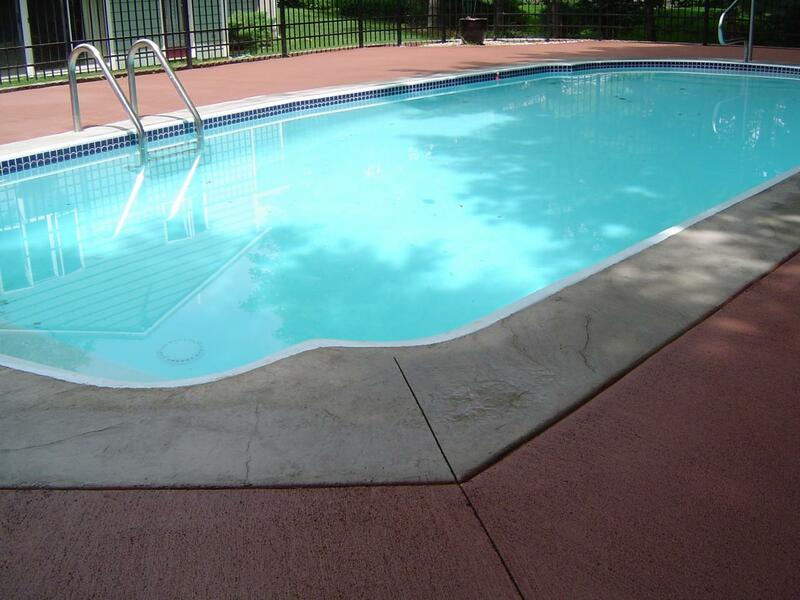 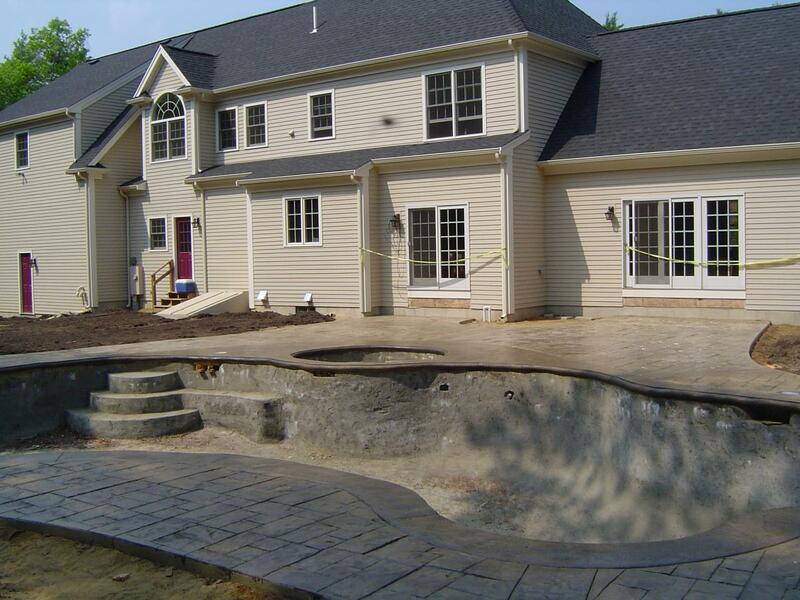 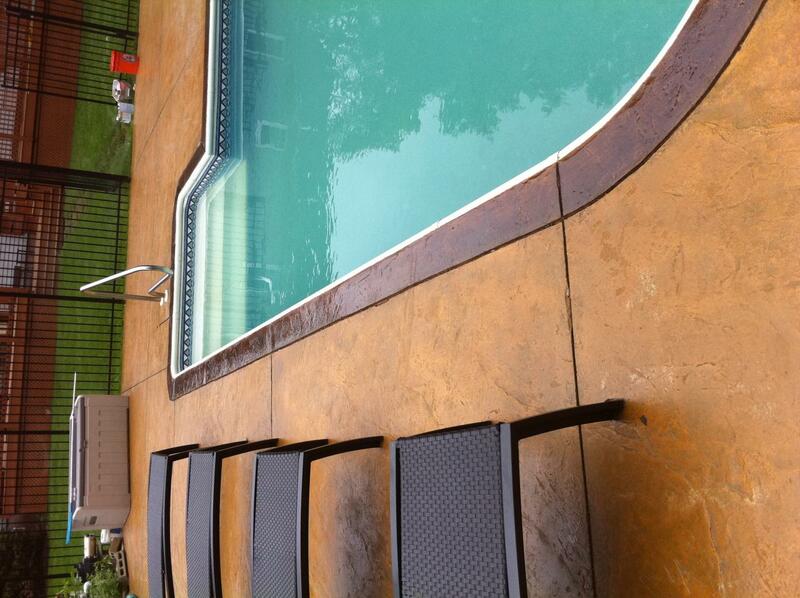 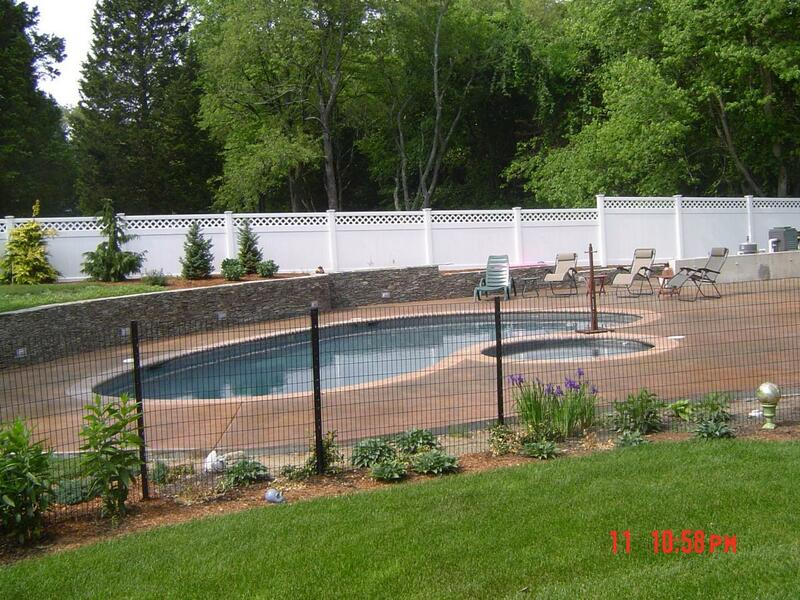 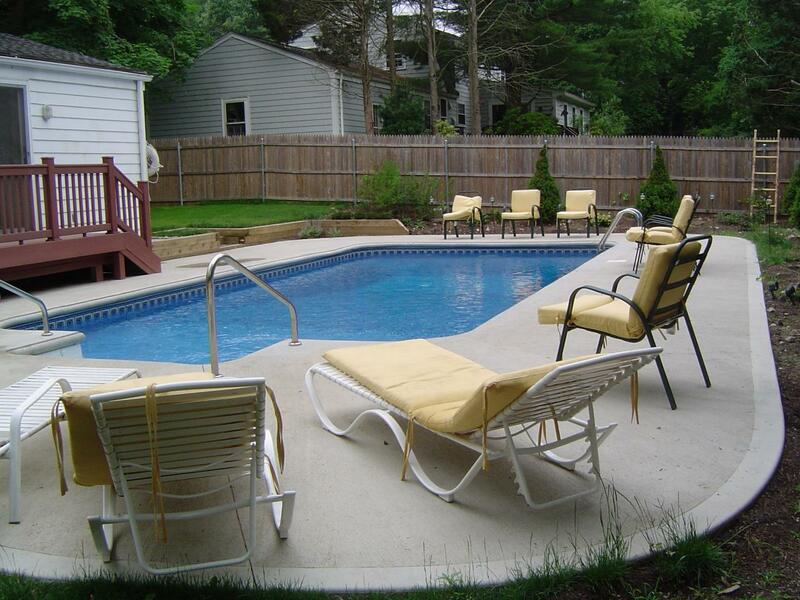 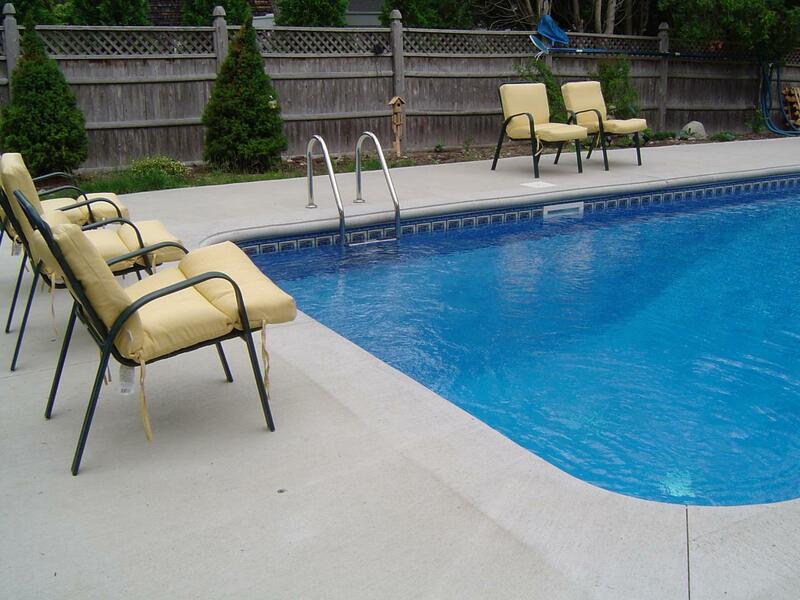 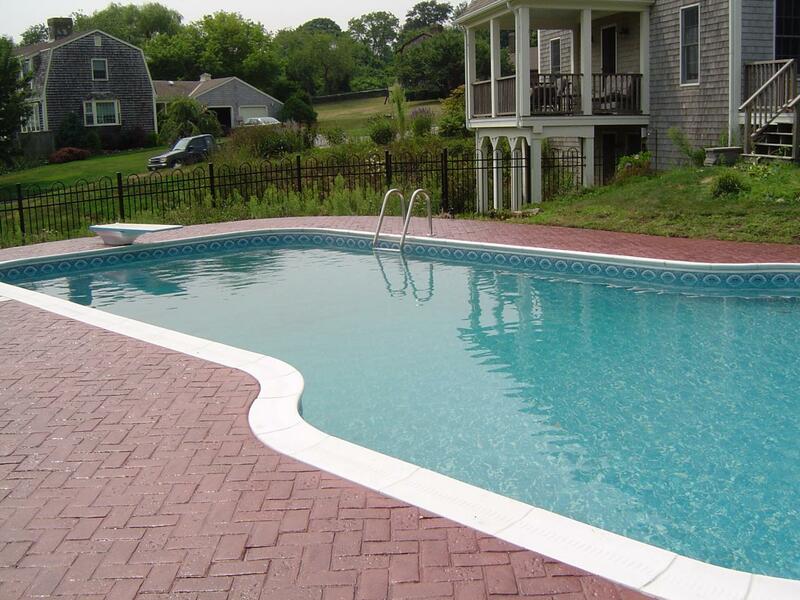 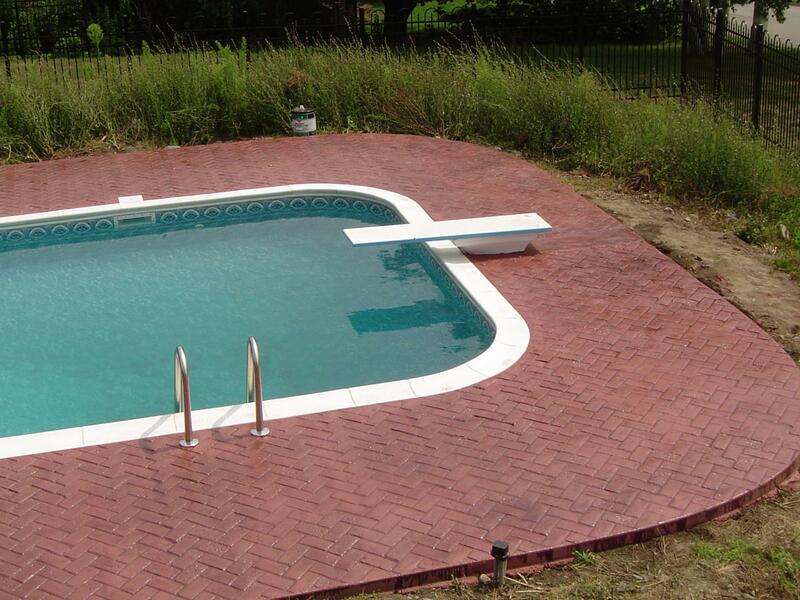 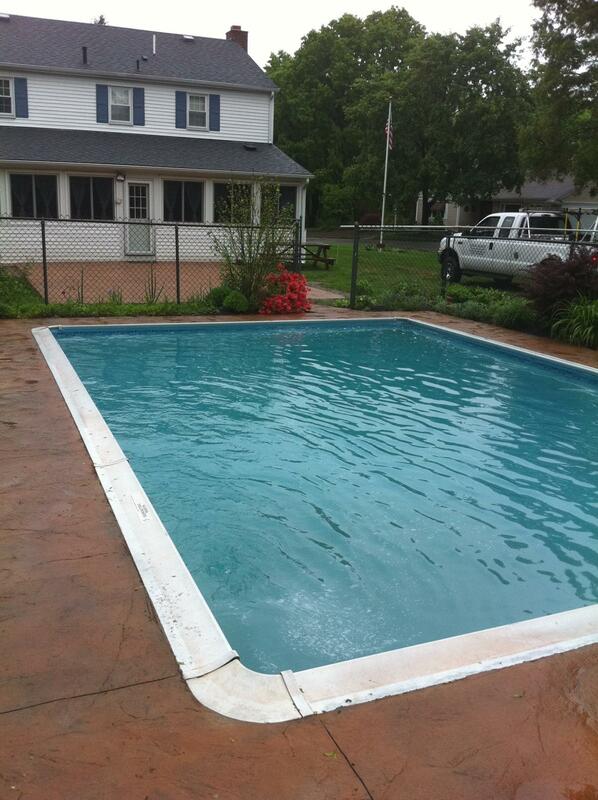 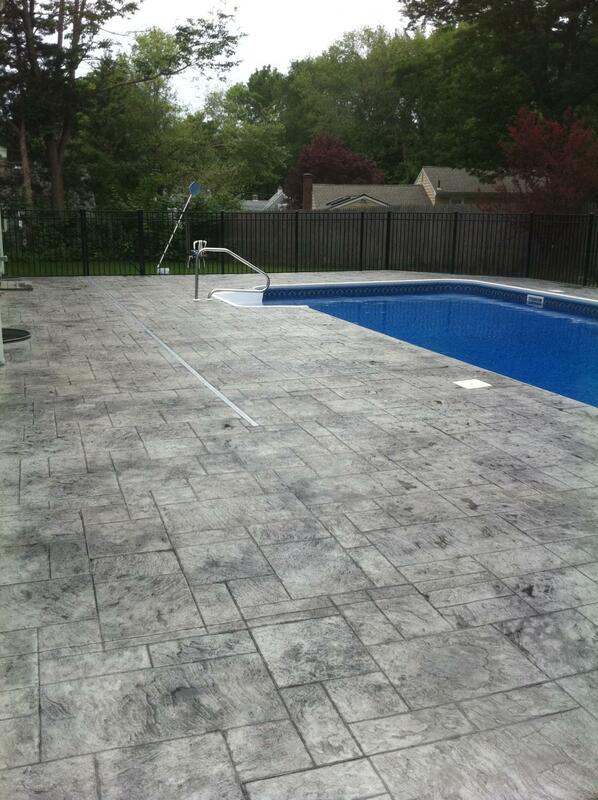 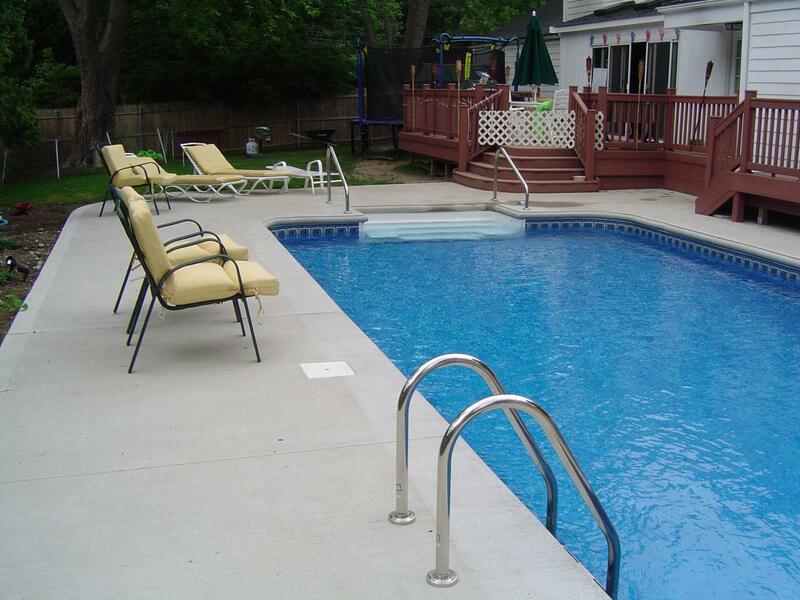 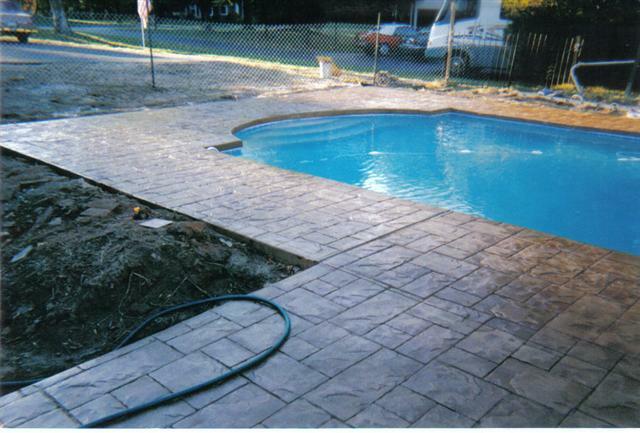 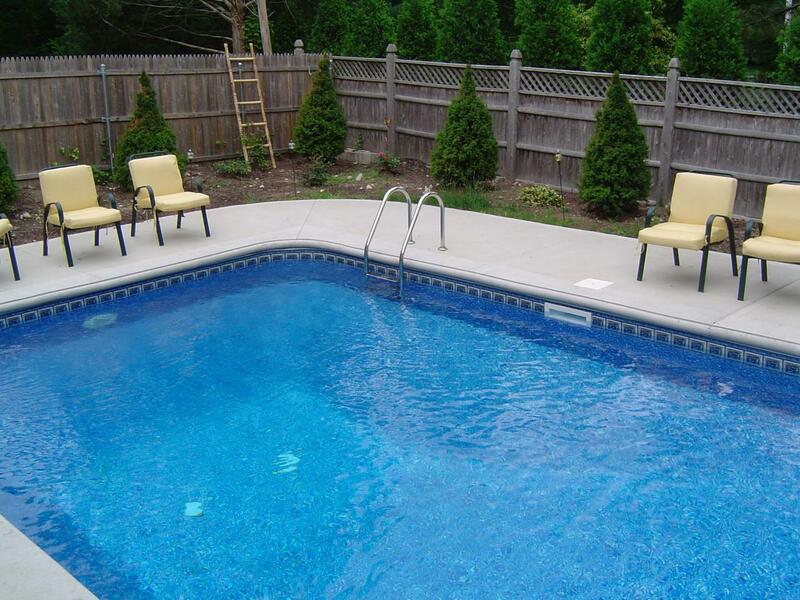 Pool Decks or pool aprons surfaces are limited to only a few materials. 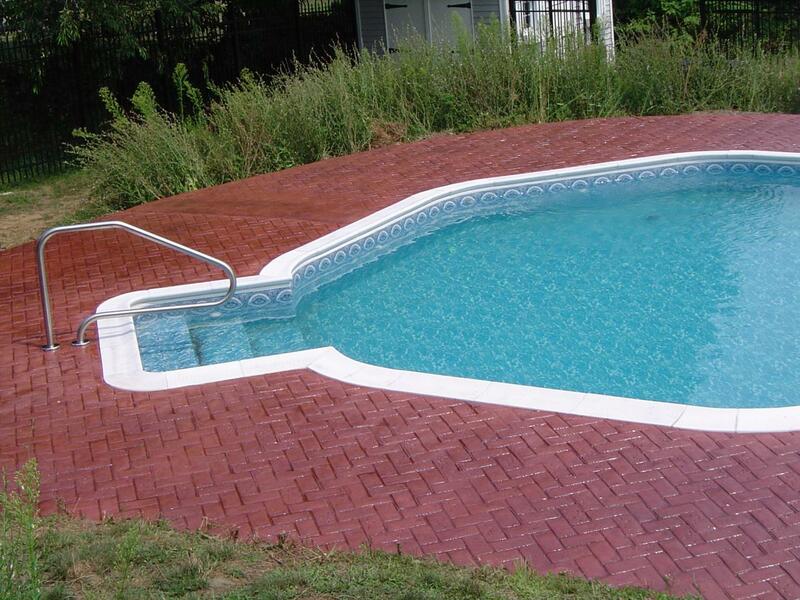 One option is expensive wood, which is also very high maintenance. 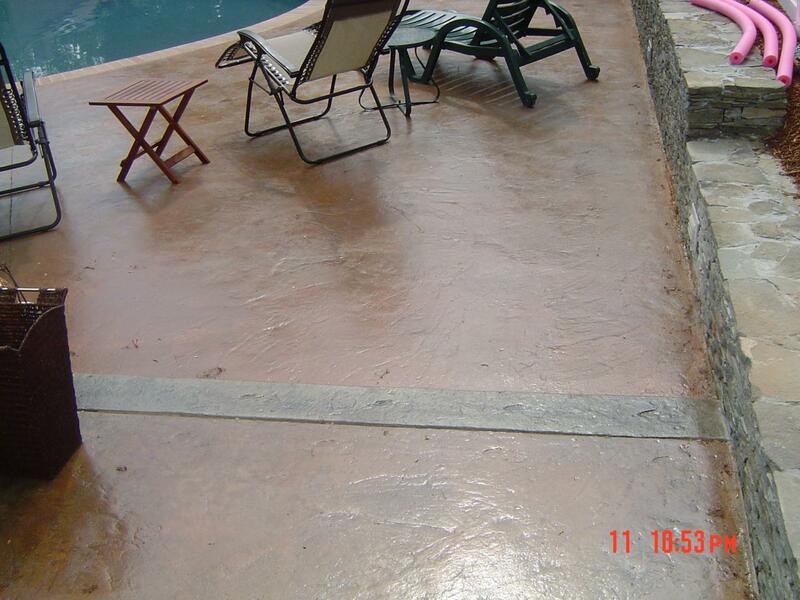 The other option is gray concrete which is less expensive but not very pleasant aesthetically. 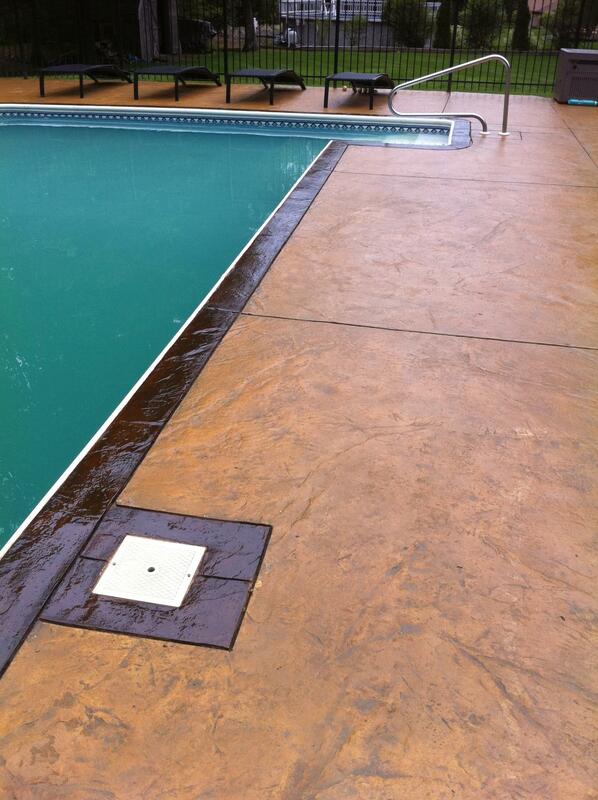 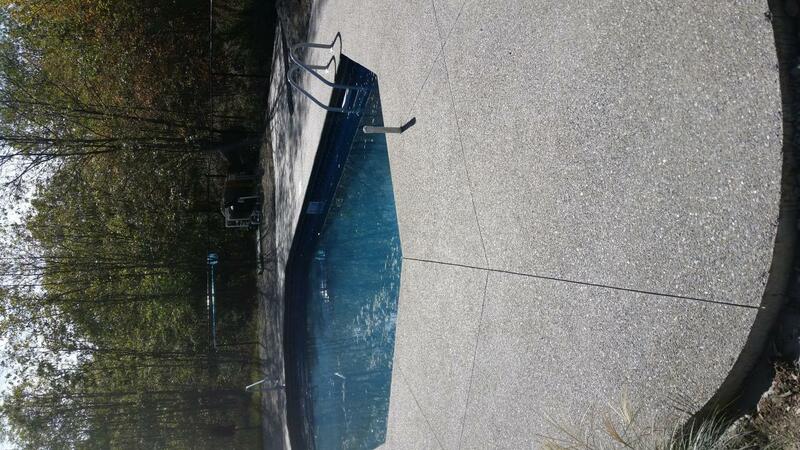 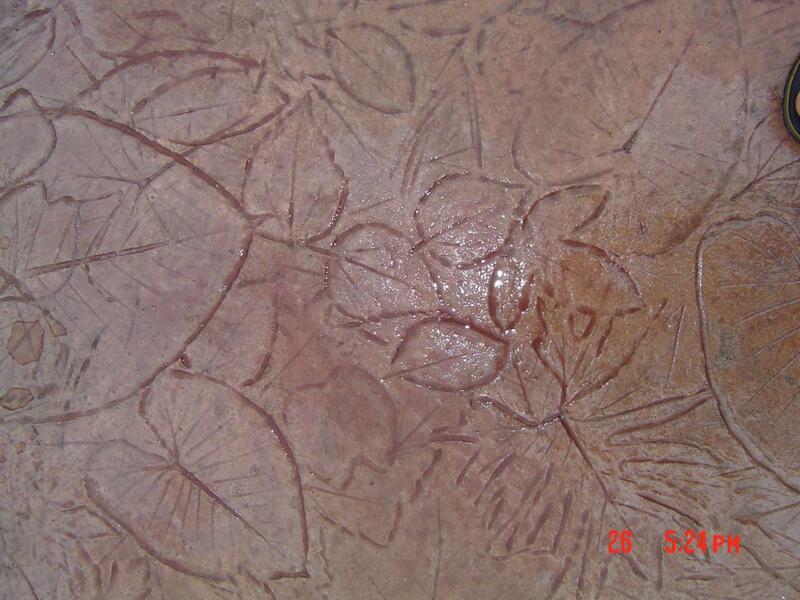 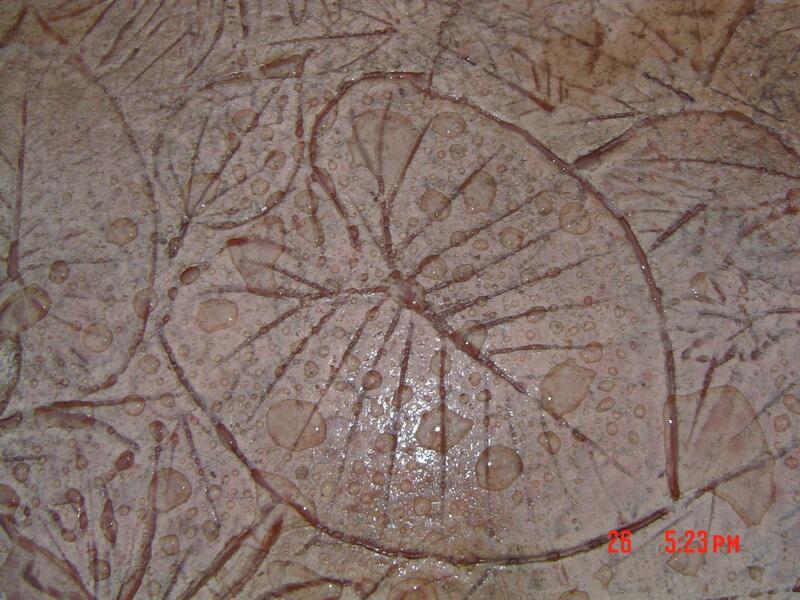 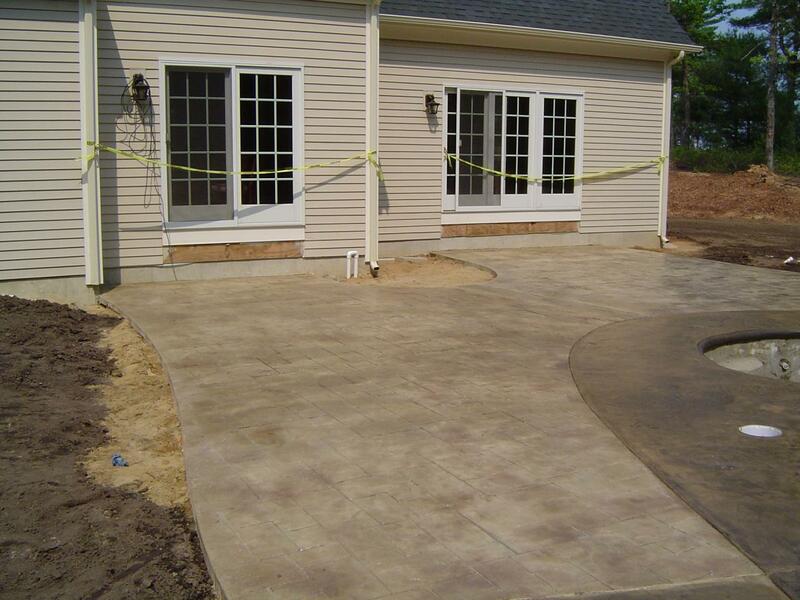 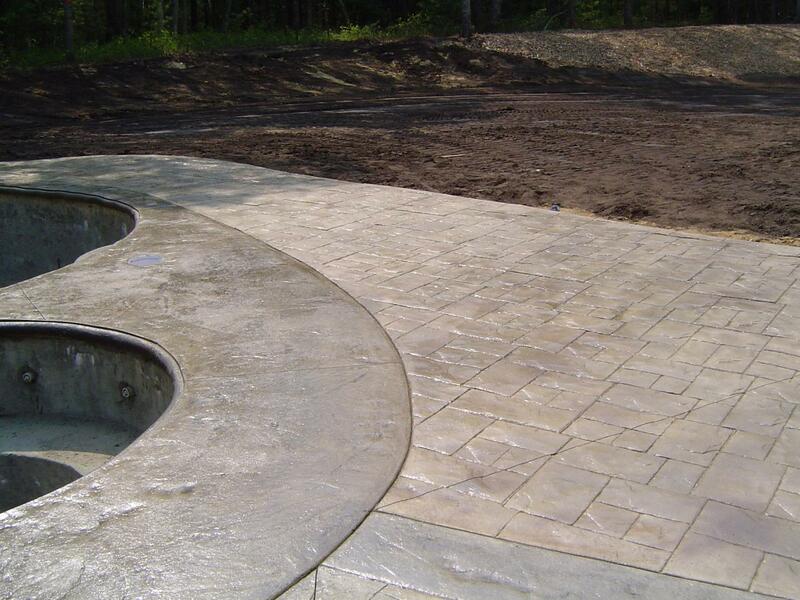 Once again decorative concrete is perfect for this application. 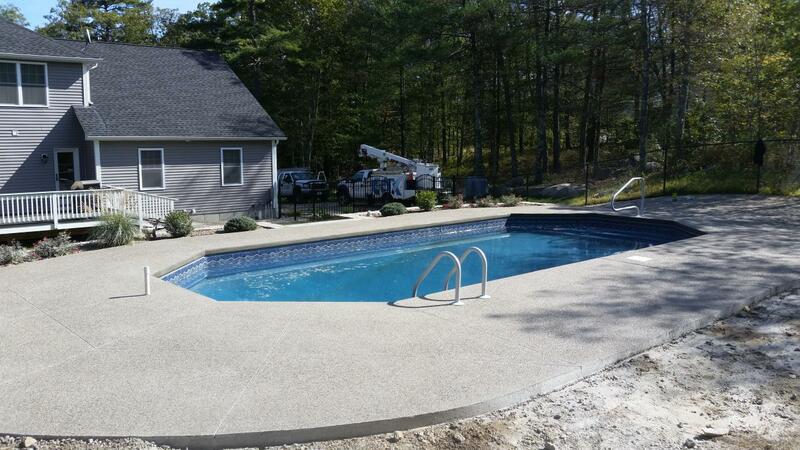 Decorative concrete has the durability to hold up in the extreme environment of being around a swimming pool but also has the beauty to be worthy of your favorite relaxation spot.